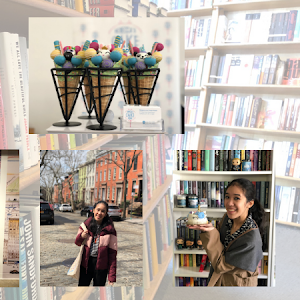 It's time for part two of my London recap! 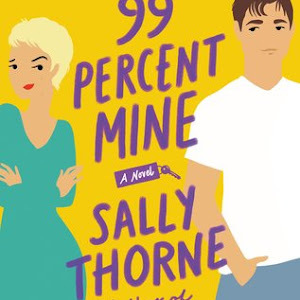 (If you're interested, check out part one as well!). 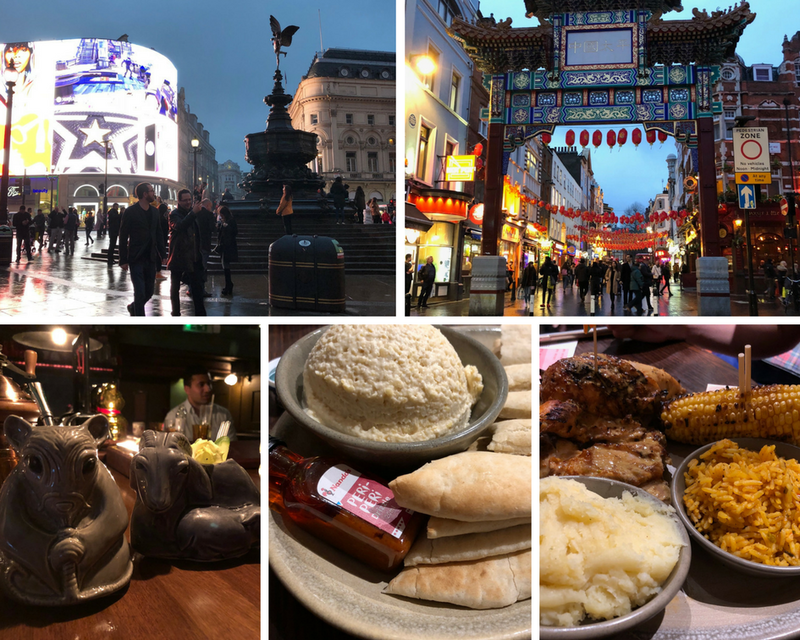 Today, I'll be sharing what Mel and I got up to during our last day and half in London. I'm still amazed at how much we managed to fit into our time in this city! 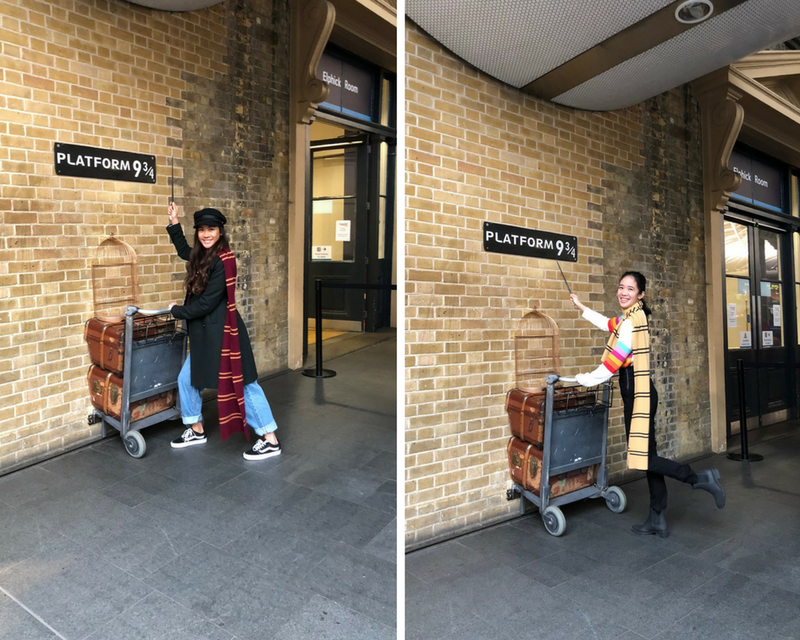 We kicked off our Sunday morning with a quick stopover at Platform 9 3/4 at King's Cross Station, which was such a fun photo op (and a shopping stop for me, of course). 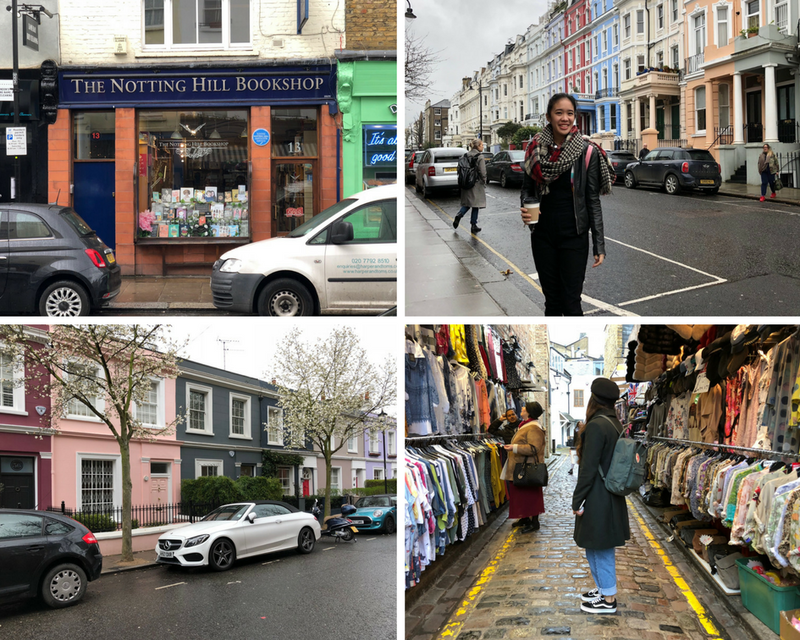 We didn't let the rainy weather deter us from visiting Portobello Road, where we stopped by The Notting Hill Book Shop, saw the lovely colorful houses, and visited a few of the stalls and shops that were open on the main road (I scored a first edition of Harry Potter and the Deathly Hallows!). 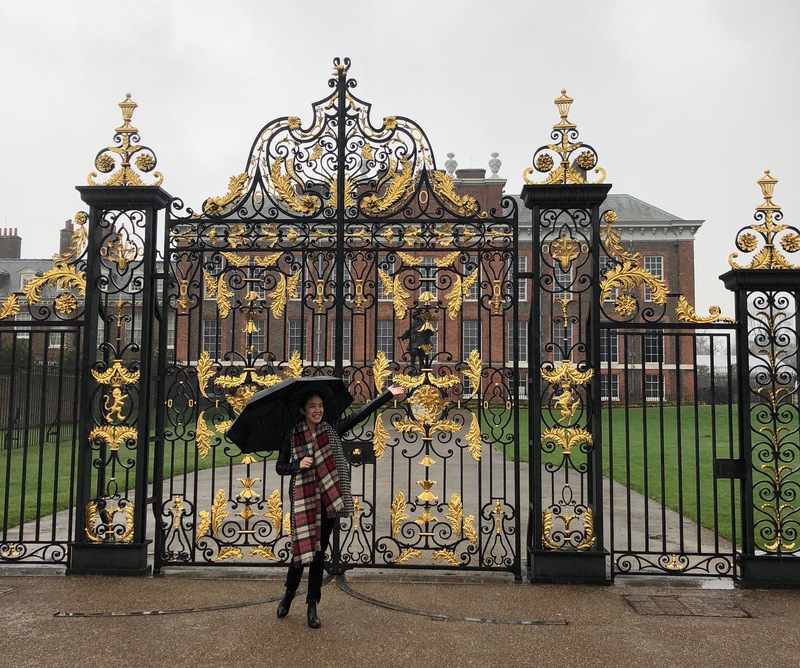 We walked through the Kensington Palace Gardens to make our way over to Kensington Palace, marveling at how secluded this palace seems despite being in the central part of the city. 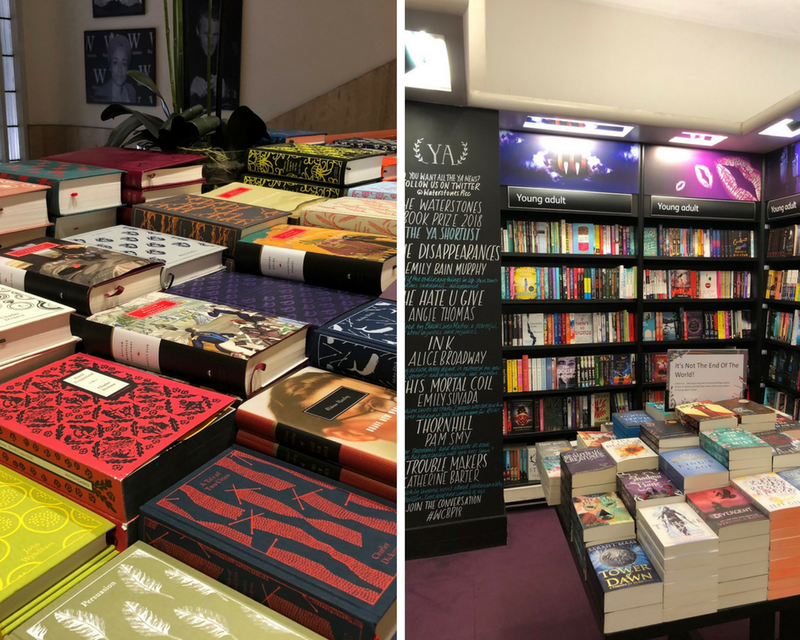 Deciding we needed a break, I finally got a chance to pop into a bookstore (two, actually, Waterstones and Hatchard's) for a browse and buy. 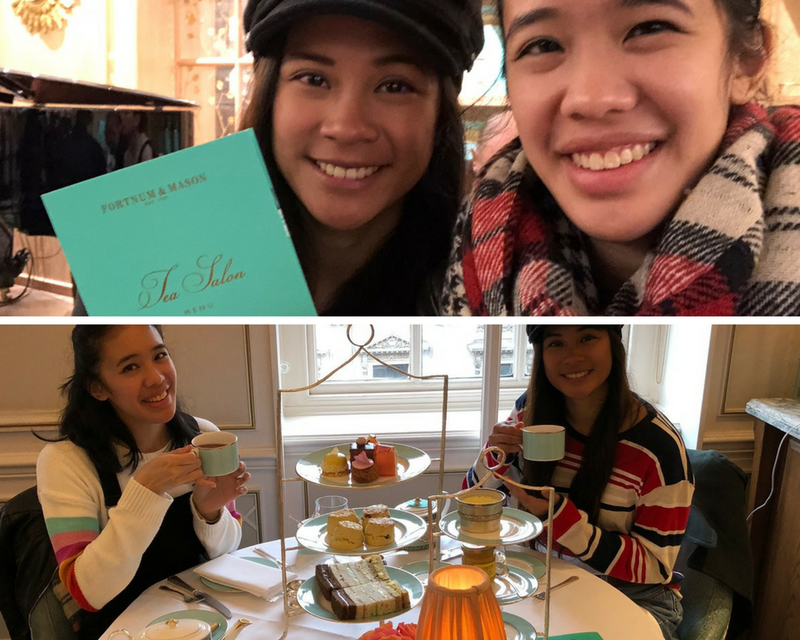 We had afternoon tea at Fortnum & Mason (which was delightful! ), then walked briefly through a portion of Hyde Park. Our wanderings took us past the Wellington Arch eventually, and we decided we should go to see Harrod's just to say we went. We dropped off all our goodies from the day's shopping adventures at the hotel, before we left for a quick night out. We had drinks at Opium (which is a really fun little cocktail spot), and finished off with grabbing a bite to eat at Nando's (which is excellent comfort/post-drinking food). The next morning was our last in London, but we decided to make the most of the time we had. 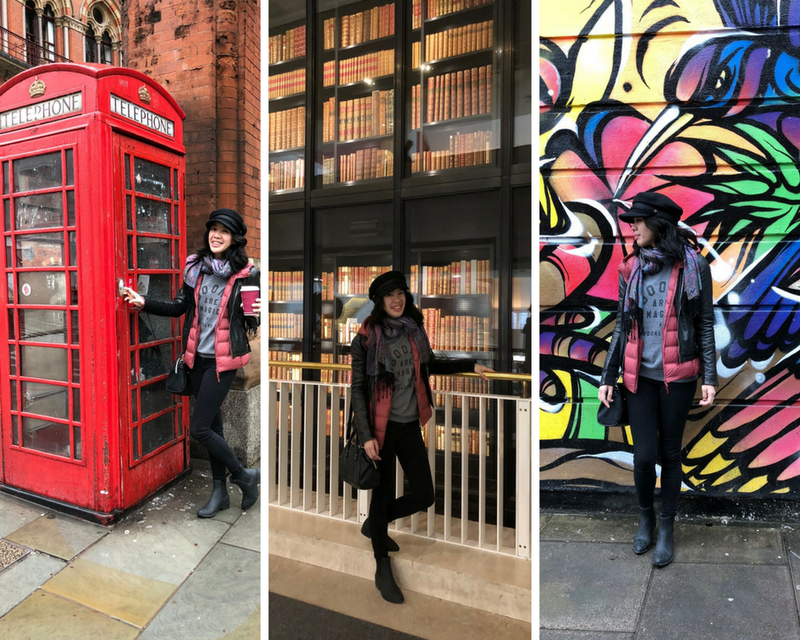 We grabbed another requisite red phone booth photo before popping into the British Library (they had a really cool British Library Treasures Gallery that I was just dying over). Our last touristy spot to visit on this trip was Camden Town, where we wandered over to Camden Lock to have a browse through their market. 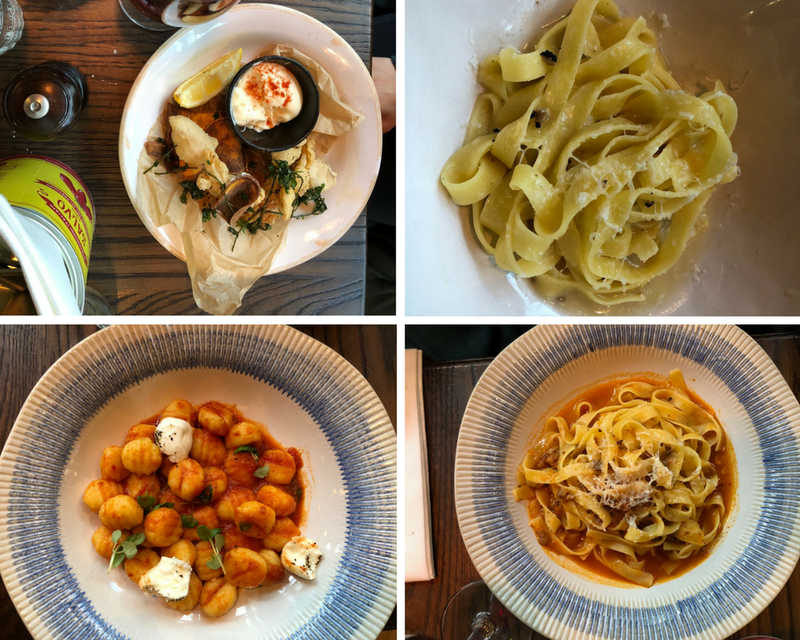 We had one last lunch at Jamie's Italian, before I split up with Mel to head for the airport to catch my flight home. It's still so surreal to be able to say that I have finally gone to London! I've always wanted to go, and just like I predicted, it's another city of my heart. Being there for three and a half days was not nearly long enough. 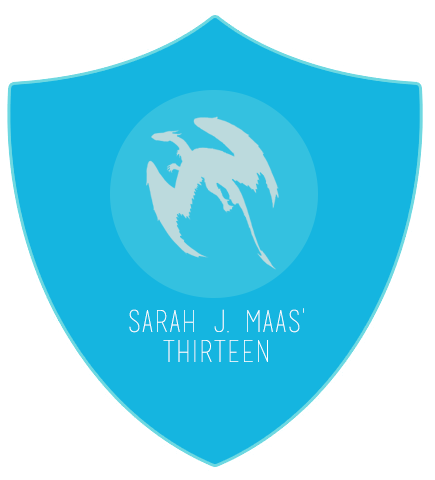 (I seriously already want to go back, and I'm already dreaming of when I'll next get to go.) There's just such a wonderful combination of history and pop culture, and I soaked up every single minute of my time there, brief as it was. I definitely hope that the next time I go will be for a much longer and more leisurely visit! 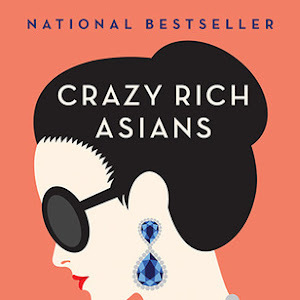 I've so enjoyed reading about your London trip! I was lucky enough to visit for almost two weeks several years ago and I still feel like I didn't see everything, but it's amazing that you were able to head over there for a long weekend! 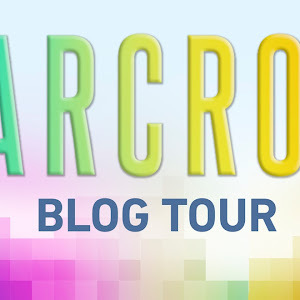 I am catching up on some of your blog posts and London looks so much fun! I am hoping to visit London sometime in the near future :). Thanks for recapping your trip.